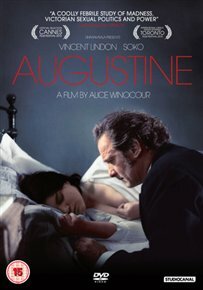 Director Alice Winocour’s debut drama explores the relationship between the 19th-century French neurologist Jean-Martin Charcot (Vincent Lindon) and his patient, Augustine (Soko), a 19-year-old illiterate housemaid. After succumbing to a seizure while serving dinner guests, Augustine, her face paralysed on one side, is sent to the Pitié-Salpêtrière Hospital in Paris, where she soon comes to the attention of Charcot. Commanding an overbearing presence on the wards, the doctor soon starts to employ his latest case-study in public demonstrations, with the aim of showcasing his latest neurological breakthroughs using hypnosis. It’s not long, however, before the doctor/patient relationship begins to change, as Charlot finds it increasingly difficult to conceal his attraction for his patient, and Augustine begins to assume more control over her life.